We would love to find out how you set up a race car for racing in 6" of water. 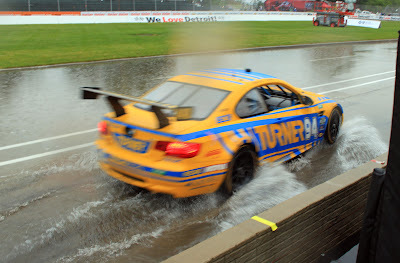 Apparently, Turner Motorsport knows something about water skiing as the #94 car pulled off the second-fastest GT time in morning practice. Wonder if Will Turner will ask Bill Auberlen and Paul Dalla Lana to wear nomex flippers instead of racing boots.